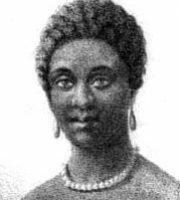 Phillis Wheatley best poems. Wheatley was the first published African-American female poet. Her poetry expressed Christian themes, and many poems were dedicated to famous figures. One of her famous poems on slavery is "On being brought from Africa to America".